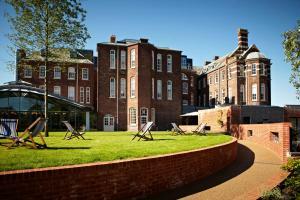 Below is a comprehensive list of hotels in Pinhoe. 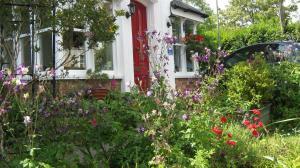 Use the sort links to refine your search or to find featured accommodation in Pinhoe. 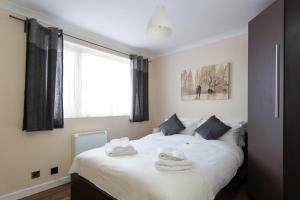 Many of our hotels in Pinhoe feature no booking fees and best price guarantee when booked through the Pictures of England website. 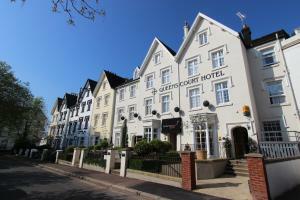 To list your hotel in Pinhoe, click here. Refurbished in 2015, the award-winning Innkeeper's Lodge Exeter, Middlemoor is just 5 minutes’ drive from junction 30 on the M5 motorway, with free ..
Offering a garden and views over the surrounding countryside, Heath Gardens B&B is set in a 17th century cottage with a southern aspect. Free WiFi is .. 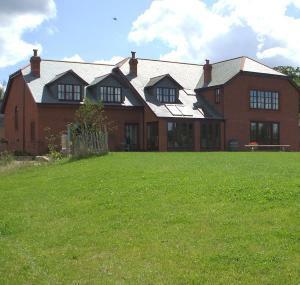 Situated 10 minutes' stroll from Exeter city centre and set in a Georgian manor house, Southlands offers free private parking on site, as well as free.. 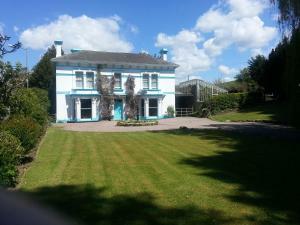 Featuring free WiFi, Fair Oak House offers accommodation in Aylesbeare, 30 km from Torquay. 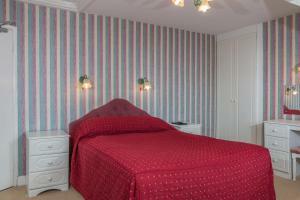 Rooms come with a TV with satellite channels. You will fi.. 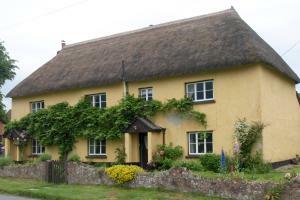 This fine Victorian country house is set in the Exe Valley Stoke Canon village, 5 minutes’ drive from Exeter. 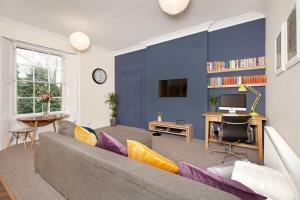 With charming original features, it of..
Nestled within a flower garden, University of Exeter - Pennsylvania Court offers campus accommodation located just outside Exeter's city centre. 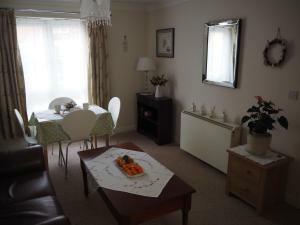 Free ..
Central Exeter Apartment offers accommodation in Exeter. 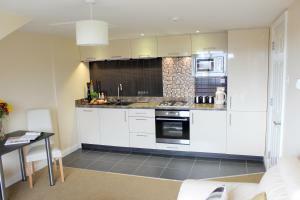 The unit is 4.4 km from Sandy Park Rugby Stadium. Free WiFi is available throughout the prope.. 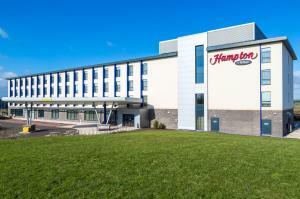 Located adjacent to Exeter airport and only 5 minutes’ drive from the M5 motorway, Hampton by Hilton Exeter Airport offers free on-site parking, a f.. 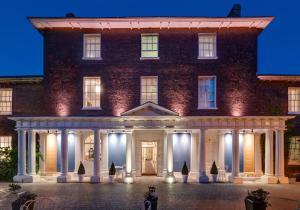 This intimate hotel is set in a Grade II listed Georgian gentleman’s residence in central Exeter. It offers luxurious rooms, a cocktail bar and fine..
An impressive building with a fitness centre and an outdoor pool open all year round, Hotel du Vin Exeter boasts free WiFi, a bar and 24-hour front de..
Set in 55 acres of countryside within a 15-minute drive from Exeter, Kiddicott Farm offers bed and breakfast accommodation with free WiFi and secure o..
Just 4 minutes’ walk from Exeter Cathedral, The White Hart Hotel by Marston's Inns provides en suite accommodation in the city centre. There is a ba.. 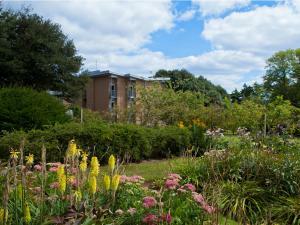 Located on the University of Exeter campus, University of Exeter - Holland Hall offers bed and breakfast accommodation with botanical gardens, free pa.. This hotel’s Olive Tree Restaurant has been awarded 2 AA Rosettes for its fine food, and there is an outdoor patio area where guests can relax in wa.. Quietly situated just 5 minutes’ walk from the centre of Exeter, Silversprings offers contemporary accommodation with free Wi-Fi and free onsite par..